The Department for Business, Energy and Industrial Strategy has today published a list of 233 businesses that underpaid workers. 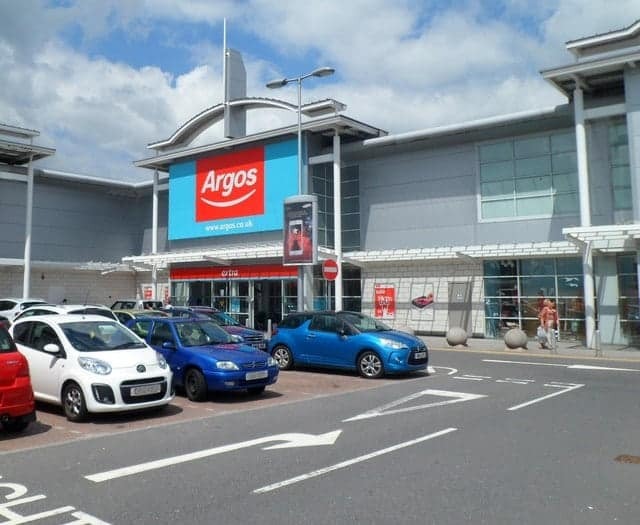 Argos Limited, Milton Keynes MK9, failed to pay £1,461,881.78 to 12,176 workers. Pearson Anderson Limited, Leicester LE1, failed to pay £49,800.41 to 169 workers. Fusion Hairdesign Ltd, Harrow HA3, failed to pay £24,352.90 to 6 workers. Nunthorpe Nurseries Group Ltd, Redcar and Cleveland TS7, failed to pay £22,831.38 to 118 workers. Vong’s Welcome Limited trading as Vong’s Hot Food Bar, Armagh City, Banbridge and Craigavon BT32, failed to pay £18,575.34 to 1 worker. Maughan Microcomputers Limited trading as Console Doctor, Newcastle upon Tyne NE6, failed to pay £15,010.89 to 3 workers. Islington Accommodation Services Limited, Blackburn with Darwen BB2, failed to pay £14,447.82 to 1 worker. Mr Mohammed Yunas Chughtai, Mrs Azmat Ara Chughtai and Mr Aftab Chughtai trading as Aftabs, Birmingham B8, failed to pay £14,142.26 to 1 worker. Rudan Limited trading as Hershesons, Westminster W1S, failed to pay £14,141.06 to 7 workers. Mr Anthony Kenvig trading as Kenvig’s Hair Marriott, Preston PR3, failed to pay £9,698.04 to 2 workers. Mr William Gareth Griffiths & Mrs Llinos Griffiths trading as Gareth Griffiths, Ceredigion SY23, failed to pay £9,230.56 to 1 worker. Geoff Chapman trading as North Cowton Service Station, Richmondshire DL7, failed to pay £8,229.11 to 3 workers. Miss Mackenzie Sanders trading as Filo Horses, Swindon SN4, failed to pay £8,204.07 to 3 workers. Miss Reena Parmar trading as Antony Luka Hairdressing, Birmingham B42, failed to pay £7,353.22 to 1 worker. Nightingales of Kidderminster Limited, Wyre Forest DY10, failed to pay £6,895.75 to 9 workers. Wynyard Hall Limited trading as Wynyard Hall, Stockton-on-Tees TS22, failed to pay £6,040.05 to 3 workers. Mrs Dorothy Bello trading as Rising Stars Daycare & Shining Stars Kids Club, Newham E16, failed to pay £5,515.06 to 4 workers. Bull Construction Limited, Wiltshire SN8, failed to pay £4,998.79 to 1 worker. The Fish and Chip Ship Limited trading as McMonagles, West Dunbartonshire G81, failed to pay £4,900.15 to 9 workers. DSL Accident Repair Ltd, City of Edinburgh EH14, failed to pay £4,896.43 to 3 workers. Shores Homecare Limited, East Riding of Yorkshire HU19, failed to pay £4,840.31 to 6 workers. Deborah Marsh and Kathryn Johnston trading as FX Hair & Beauty, Broxbourne EN8, failed to pay £4,790.72 to 1 worker. Bass Electrical Limited, West Lindsey LN3, failed to pay £4,717.05 to 1 worker. Airport Placements Limited, Solihull B26, failed to pay £4,557.43 to 50 workers. Rainbow Room (Clarkston) Limited (name changed to JPTO Ltd), East Renfrewshire G76, failed to pay £4,532.94 to 21 workers. Eaglescliffe Gas Limited, Stockton-on-Tees TS16, failed to pay £4,492.03 to 1 worker. Idlewild Hairdressing Ltd, West Oxfordshire OX28, failed to pay £4,491.02 to 2 workers. Emma’s Angels Day Nursery Limited, Leeds LS19, failed to pay £4,178.89 to 5 workers. Francis John Hairdressing Ltd trading as Francis John Hairdressing, South Ayrshire KA7, failed to pay £4,129.40 to 2 workers. Elite Hair & Beauty (North East) Limited trading as Elite Evolution, County Durham DL14, failed to pay £4,053.20 to 5 workers. Mr Mukesh Patela and Mrs Bhavna Patel trading as Eaton Lodge Care Home, Thanet CT8, failed to pay £4,026.44 to 5 workers. King’s Summer Homes Limited, North Norfolk NR27, failed to pay £3,974.94 to 1 worker. Smiles Montessori Preschool (Bush Fair) Limited, Harlow CM18, failed to pay £3,904.90 to 3 workers. Miss Tracey Newnian trading as Tracey’s Unisex Salon, Carmarthenshire SA31, failed to pay £3,879.67 to 1 worker. Field & Rural Life Ltd, Purbeck BH16, failed to pay £3,606.09 to 2 workers. Knaptoft Hall Farm Limited, Harborough LE17, failed to pay £3,525.97 to 1 worker. Braehead Foods Limited, East Ayrshire KA2, failed to pay £3,434.39 to 28 workers. Small Wonders Day Care Nursery (Thatto Heath) Ltd, St. Helens WA10, failed to pay £3,372.65 to 11 workers. Wych Elm Car Wash Ltd, Harlow CM20, failed to pay £3,293.24 to 5 workers. Edmondsons (Freightliners) Ltd, Lancaster LA3, failed to pay £3,250.07 to 28 workers. Codsall H I Ltd trading as South Staffs Windows, Wolverhampton WV1, failed to pay £3,244.72 to 3 workers. Solarcrown (UK) Ltd (name changed to SCUKL 2016 Limited) trading as Solarking (when Solarcrown (UK) Ltd), St. Helens WA11, failed to pay £3,227.28 to 7 workers. Hi 5’s Limited, Leeds LS27, failed to pay £3,062.93 to 5 workers. Prestige Accident Repairs Limited, South Hams TQ9, failed to pay £2,977.90 to 1 worker. Sharps Media Group Ltd, Barrow-in-Furness LA14, failed to pay £2,946.21 to 2 workers. The Unstuffy Hotel Co Limited (Previous owner), South Lakeland LA23, failed to pay £2,877.20 to 3 workers. Roundabout Out of School Care Limited, Stoke-on-Trent ST2, failed to pay £2,676.09 to 1 worker. Hamilton Reese Limited, Manchester M12, failed to pay £2,648.88 to 7 workers. Alsigns Commercials Ltd, Wychavon WR12, failed to pay £2,619.35 to 1 worker. Thai Lounge (Cardiff) Limited trading as Thai Lounge, Cardiff CF14, failed to pay £2,527.27 to 4 workers. Qassa Limited, Medway ME7, failed to pay £2,506.51 to 2 workers. Mr Mandeep Singh trading as Poseidon Fish Bar, Leicester LE2, failed to pay £2,479.36 to 3 workers. Banny’s Limited, Pendle BB8, failed to pay £2,418.48 to 47 workers. Bluestone Resorts Limited, Pembrokeshire SA67, failed to pay £2,378.98 to 2 workers. Crown Pianos Limited, Newark and Sherwood NG21, failed to pay £2,328.28 to 1 worker. Rockliffe Hall Limited trading as Rockliffe Hall, Darlington DL2, failed to pay £2,278.26 to 3 workers. The Breakfast Junction Limited, Warwick CV35, failed to pay £2,278 to 1 worker. Ruthin Castle Hotel Ltd, Denbighshire LL15, failed to pay £2,182.49 to 1 worker. NR Care Ltd, Norwich NR1, failed to pay £2,159.88 to 5 workers. Sean Hanna Ltd, Merton SW19, failed to pay £2,154.56 to 20 workers. Nomi Enterprises Limited, North Ayrshire KA12, failed to pay £2,047.16 to 2 workers. In-Portofino Ltd trading as Portofino, Fylde FY8, failed to pay £1,976.15 to 6 workers. Mr Paul Isaac and Mrs Hayley Isaac trading as Refit Design Shopfitters, Neath Port Talbot SA10, failed to pay £1,941.04 to 1 worker. Mr Gerald Anthony Roche trading as Agents Green, Ealing W3 0, failed to pay £1,924.23 to 1 worker. Mr William Holleran and Mr Iain Holleran trading as Wm Holleran & Sons, Falkirk FK2, failed to pay £1,908.22 to 2 workers. Costa Construction Limited, Leicester LE4, failed to pay £1,895.65 to 6 workers. Mrs Joan Greenan trading as Shape ‘N’ Style, Newry, Mourne and Down BT34, failed to pay £1,886.71 to 2 workers. Primley Park Children’s Nurseries Limited, Leeds LS17, failed to pay £1,859.58 to 4 workers. Pires Restaurant Limited trading as The Butchers Arms (Previous owner), Stratford-on-Avon CV47, failed to pay £1,794.16 to 1 worker. P.C. Coaches of Lincoln Limited, Lincoln LN3, failed to pay £1,773.55 to 1 worker. Careys Manor Hotel (Brockenhurst) Limited trading as Careys Manor Hotel, New Forest SO42, failed to pay £1,706.13 to 4 workers. Julie Jane Ltd trading as Boiler Servicing 24/7, Bracknell Forest SL5, failed to pay £1,703.63 to 1 worker. Mr Joseph McCaughley and Mrs Martina McCaughley trading as Head Office Salon, Newry, Mourne and Down BT24, failed to pay £1,702.30 to 3 workers. Mr Mark Robinson trading as Soul Hairdressing, Belfast BT5, failed to pay £1,699.67 to 4 workers. Burlesque Hair Company Limited, Newport NP20, failed to pay £1,672.58 to 3 workers. L.C.S. Building Services Ltd, Tameside SK15, failed to pay £1,575.71 to 2 workers. James Hughes Hair Ltd, Glasgow City G4, failed to pay £1,567.94 to 2 workers. Celtic Community Services Limited, Rhondda Cynon Taf CF72, failed to pay £1,521.44 to 5 workers. John Oliver (Norwich) Ltd trading as John Olivers, Norwich NR1, failed to pay £1,490.77 to 5 workers. Katie Stevenson trading as The Kilmarnock Hair Company, East Ayrshire KA1, failed to pay £1,479.03 to 1 worker. Stephen Rodgers trading as The Kilmarnock Hair Company, East Ayrshire KA1, failed to pay £1,420.68 to 1 worker. Spread Eagle Hotel (Midhurst) Limited (The), Chichester GU29, failed to pay £1,406.83 to 2 workers. Mrs Claire Elsie Carter trading as The Hartnoll Hotel, Mid Devon EX16, failed to pay £1402.31 to 1 worker. Model Me Salons LLP, Sefton PR8, failed to pay £1,367.56 to 7 workers. Mr Sejdi Laci trading as Laci’s Hand Car Wash, Harlow CM18, failed to pay £1,346 to 3 workers. Mr Keith Pollock and Mrs Aaltjemary Pollock trading as Mosko Hairdressing (Previous owner), North Lanarkshire ML2, failed to pay £1,335.63 to 8 workers. Mr Gary Graham trading as Seaburn Plasterers, South Tyneside SR6, failed to pay £1,314.40 to 1 worker. Ambrozja Ltd, Bradford BD1, failed to pay £1,303.71 to 2 workers. Emma R (UK) Ltd trading as Beauty by Emma, North Somerset BS23, failed to pay £1,276.35 to 1 worker. Mr Derek Mitchelson and Mrs Jacqueline Mitchelson trading as Hair Oassis, North Lanarkshire G67, failed to pay £1,216.93 to 1 worker. SS Pubco Ltd trading as The Freemason’s Arms, Ribble Valley BB7, failed to pay £1,166.85 to 2 workers. M Camilleri & Sons Roofing Limited, Vale of Glamorgan CF64, failed to pay £1,150.68 to 11 workers. M & M Garages Ltd, Middlesbrough TS2, failed to pay £1,141.89 to 1 worker. Core Accounts Limited, St Albans AL3, failed to pay £1,117 to 2 workers. Woodbury Park Hotel & Golf Club Limited (Previous owner) trading as Woodbury Park, East Devon EX5, failed to pay £1,109.71 to 2 workers. Drift Bridge Garage Limited, Reigate and Banstead KT17, failed to pay £1,089 to 1 worker. Mr John Dickson trading as Darling’s Hair Salon, Antrim and Newtownabbey BT37, failed to pay £1,051.96 to 1 worker. Diamond Valeting Centre & Car Wash Ltd, Renfrewshire PA1, failed to pay £1,045.20 to 2 workers. Mr Abid Akram, Mr Mohammad Kamran Akram, Mrs Zarqa Haq, Mrs Kiran Kamran & Mr Khalid Mehmood trading as Raja Brothers, Oldham OL1, failed to pay £1,037.01 to 2 workers. Tudor Manor Day Nursery Limited, Northampton NN5, failed to pay £1,029.30 to 1 worker. Fresh Lifestyle Limited, Lewisham SE3, failed to pay £1,019.61 to 2 workers. Helping Hands Cleaning (Lancashire) Limited, South Ribble BB2, failed to pay £1,014.08 to 1 worker. Cashnext Limited trading as The Krazy House, Liverpool L1 4, failed to pay £1,012.29 to 2 workers. Firlawn Nursing Home Limited, Wiltshire BA14, failed to pay £1,010.08 to 3 workers. Miss Helen Lee trading as His & Hers Hair Salon, Redditch B97, failed to pay £1,008.60 to 2 workers. Burns Hair Fashions Limited trading as BHF Hairdressing Group, Elmbridge KT13, failed to pay £994 to 1 worker. Bovey Castle Hotel Limited, Teignbridge TQ13, failed to pay £961.15 to 26 workers. Mrs Leigh Glendinning and Miss Sasha Glendinning trading as Quaint & Quirky Tea Rooms, Stockton-on-Tees TS18, failed to pay £946.90 to 1 worker. Christopher Bartholomew Till trading as Hub Hairdressing, Brentwood CM14, failed to pay £916.69 to 1 worker. Hampton Dean Construction Limited, Cheshire East CW12, failed to pay £893.04 to 1 worker. Les Enfants Private Day Nurseries Ltd, Kirklees HD5, failed to pay £874.78 to 5 workers. Adeiladwyr Eryri Builders CYF, Gwynedd LL52, failed to pay £864 to 1 worker. CKML Limited, Northumberland NE24, failed to pay £851.46 to 2 workers. Jazan Ltd, South Gloucestershire BS15, failed to pay £812.92 to 1 worker. Penrhyn Inns Limited trading as The White Hart, Oldham OL4, failed to pay £807.70 to 1 worker. Sweet Peas Day Care & Teaching Nurseries Limited, Leeds LS25, failed to pay £803.98 to 10 workers. Mr Bharat Savjani and Mr Vikesh Savjani trading as Sussex Service Station, Birmingham B12, failed to pay £803.78 to 1 worker. Alaxia Limited trading as Caterina 55, City of London EC2Y, failed to pay £800.65 to 1 worker. Donnelly Bros. (Belfast) Limited, Antrim and Newtownabbey BT36, failed to pay £771.34 to 4 workers. CDE Global Limited, Mid Ulster BT80, failed to pay £768.91 to 1 worker. Stylewise (UK) Limited, Manchester M12, failed to pay £768.68 to 1 worker. Polebank Care Home Ltd, Tameside SK14, failed to pay £744.65 to 7 workers. Sessions Spa Ltd, East Riding of Yorkshire HU17, failed to pay £739.50 to 6 workers. Mr Dylan Rhys Roberts trading as D R Roberts Plumbing & Heating, Denbighshire LL15, failed to pay £735.58 to 1 worker. Cookies and Cream Essex Ltd, Redbridge IG6, failed to pay £733.03 to 3 workers. Snip-Its Limited, North East Lincolnshire DN35, failed to pay £732.35 to 1 worker. New Images (GB) Limited, North Warwickshire CV9, failed to pay £724.97 to 4 workers. K E Express Limited, South Derbyshire DE11, failed to pay £669.12 to 2 workers. L & K Group PLC, South Lakeland LA7, failed to pay £667.95 to 1 worker. Excel Hair Studio (2010) Ltd, Wigan WN5, failed to pay £667.17 to 3 workers. The Nose Ltd trading as Pointing Dog, Sheffield S17, failed to pay £647.75 to 1 worker. Mrs Colette Giles trading as Enhance Beauty Clinic, Sutton SM5, failed to pay £646.45 to 1 worker. Kingston City Properties Limited, Cardiff CF24, failed to pay £626.01 to 1 worker. Stratford Upon Avon (T) Hairdressing Limited, Stratford-on-Avon CV37, failed to pay £614.12 to 1 worker. Chiltern Hills London Limited, Westminster W1K, failed to pay £611 to 1 worker. Roadside Motors (Lurgan) Limited, Armagh City, Banbridge and Craigavon BT66, failed to pay £601.41 to 1 worker. Big Tree Joinery Ltd, Lisburn and Castlereagh BT27, failed to pay £581.25 to 2 workers. Chinite Resourcing Limited, Barking and Dagenham RM10, failed to pay £569.84 to 1 worker. The Burrows Day Care Nursery (Porthcawl) Limited, Bridgend CF36, failed to pay £550.30 to 4 workers. TLC Hair and Beauty Limited, Bury BL8, failed to pay £533.51 to 2 workers. Belfast Activity Centre, Belfast BT9, failed to pay £531.68 to 1 worker. Mr Mark Bailey and Mr David Nicholson trading as Bailey Nicholson Grayson Solicitors, Redbridge IG8, failed to pay £491.61 to 1 worker. Focus Care Link Limited, Camden NW1, failed to pay £490.09 to 1 worker. Skills Direct Ltd, Wiltshire BA14, failed to pay £489.91 to 2 workers. Gifted Hairdressing Ltd, Newry, Mourne and Down BT35, failed to pay £482.37 to 1 worker. Amber Doran trading as Lipstick, Powder and Polish, Liverpool L25, failed to pay £477.66 to 1 worker. Harvey Luke Limited, Derby DE21, failed to pay £473.69 to 3 workers. Savi Hairdressing Limited, Peterborough PE2, failed to pay £473.49 to 1 worker. Umberto Giannini Hair Cosmetics Limited, Birmingham B18, failed to pay £469.92 to 5 workers. Mr Anton Johnson and Mrs Lesley Hudson-Nunn trading as Johnsons Hairdressing, Warrington WA1, failed to pay £460.93 to 4 workers. Mr Jorge Ramos trading as JR’s Pet Shop, Wirral CH46, failed to pay £458.84 to 1 worker. Nationwide Solution Limited trading as Nationwide Solutions, Bolton BL1, failed to pay £454.33 to 1 worker. United Links Community Innitiative Limited, Birmingham B33, failed to pay £452.25 to 1 worker. Playmates Private Day Nursery Limited, Hartlepool TS26, failed to pay £450.67 to 4 workers. Whistlestop Café (North Wales) Ltd trading as Whistlestop Café, Denbighshire LL18, failed to pay £433.68 to 1 worker. Cozy Pubs Limited trading as The Eight Bells, Uttlesford CB10, failed to pay £425.26 to 1 worker. P. Griffiths Foods Limited trading as McDonald’s, Wirral CH62, failed to pay £420.16 to 41 workers. South Hetton Garage Ltd, County Durham DH6, failed to pay £417.99 to 1 worker. Mrs Monica A M Faria trading as West One Hair & Beauty, Swindon SN1, failed to pay £413.68 to 1 worker. The Wendy House (Wirral) Ltd, Wirral CH44, failed to pay £404.38 to 1 worker. Silverdale Care Services Limited, West Berkshire RG14, failed to pay £398.76 to 1 worker. Mr Christopher Whyte and Mrs Felicity Whyte trading as Beechfield House Hotel, Wiltshire SN12, failed to pay £397.17 to 10 workers. JMW Farms Ltd, Armagh City, Banbridge and Craigavon BT60, failed to pay £392.98 to 1 worker. Quality Save Limited, Salford M27, failed to pay £391.10 to 1 worker. Leslie Frances (Hair Fashions) Limited, Barnsley S70, failed to pay £387.39 to 7 workers. The Wild Swan Limited, Swansea SA1, failed to pay £380.71 to 4 workers. Mr Talal Al-Arab and Mr Hani Hussain trading as Bella Pizza, Gwynedd LL55, failed to pay £377.25 to 1 worker. David Harvey Limited, Newcastle upon Tyne NE1, failed to pay £351.12 to 1 worker. Kingsthorpe Upper Crust Catering Services Limited, Northampton NN1, failed to pay £347.21 to 3 workers. Environmental Business Products Limited, Ealing NW10, failed to pay £346.79 to 1 worker. HG Marantos Ltd trading as Maranto’s Pizza & Grill House, Sheffield S12, failed to pay £345.60 to 1 worker. Selena Pang Limited trading as The Curious Comb, Greenwich SE10, failed to pay £343.22 to 1 worker. Mrs Sylvia Moffat trading as Sam’s Hairdressing, Midlothian EH22, failed to pay £343 to 1 worker. AL. Murad D.I.Y. Limited trading as Al-Murad Tiles, Leeds LS27, failed to pay £338.91 to 1 worker. Unicorn Trading & Services Ltd trading as View, Plymouth PL1, failed to pay £318.82 to 1 worker. Ms Kelly Miller trading as Kiddyclub, Cheshire East SK9, failed to pay £317.93 to 4 workers. Scallywags Child’s Play Limited, Hartlepool TS25, failed to pay £315.12 to 2 workers. William Armour and Matthew Armour W & J Armour trading as Milton Farm, Dumfries and Galloway DG10, failed to pay £308.57 to 1 worker. Sizzler Touch Limited trading as Pepe’s Piri Piri, Hounslow TW3, failed to pay £306 to 1 worker. Siam House Limited, Cherwell OX16, failed to pay £302.69 to 2 workers. Mr Euan Morrison trading as The Harbour Barbers, Inverclyde PA15, failed to pay £300 to 1 worker. Chester Clock Tailors Limited, Cheshire West and Chester CH1, failed to pay £294.45 to 1 worker. Mr Adrian Simpson trading as Mayfields, Nottingham NG8, failed to pay £283.45 to 1 worker. Craymere Limited trading as Topknot, Nottingham NG2, failed to pay £280.41 to 1 worker. Bela Luna Ltd, Slough SL2, failed to pay £279.68 to 3 workers. Royton Cash 4 Rags Limited, Oldham OL2, failed to pay £278.34 to 1 worker. Jayasuriya Ltd trading as Medway Park Veterinary Centre, Medway ME7, failed to pay £268.57 to 1 worker. Il Forno Limited, Liverpool L1, failed to pay £261.83 to 1 worker. Yorkshire Grown Produce Limited, East Riding of Yorkshire HU15, failed to pay £257.64 to 2 workers. Ms Mandy James trading as Prince of Wales Treorchy, Rhondda Cynon Taf CF42, failed to pay £254.34 to 1 worker. The Fish Shop EN Limited trading as Fish Dish, Suffolk Coastal IP11, failed to pay £249.98 to 1 worker. Mr Clive Hubert Francis trading as Wavelength, Rushmoor GU14, failed to pay £245.91 to 3 workers. Omni Facilities Management Limited, Hammersmith and Fulham W6, failed to pay £242.34 to 1 worker. Breckland Care at Home Community Interest Company, Breckland NR20, failed to pay £240.60 to 1 worker. Urban Development Projects Ltd, Leeds LS9, failed to pay £237.64 to 2 workers. Haircut 100 Limited trading as Hot Heads, Eastleigh SO53, failed to pay £237.64 to 1 worker. Ms Sally Prescott trading as Milcot Stables, East Riding of Yorkshire HU17, failed to pay £233.35 to 1 worker. Lawyer Finder National Limited, Ealing W5 3, failed to pay £217.75 to 1 worker. The Krop Shop Limited, Falkirk FK4, failed to pay £208.68 to 2 workers. Mamas Masala Limited trading as Mamas Masala Kitchen, Derby DE21, failed to pay £207.91 to 4 workers. Peterborough Heating Solutions Ltd, Fenland PE7, failed to pay £205.70to 1 worker. Mr George Thomas Fuller and Mrs Heather Fuller trading as Fullers Bakery, East Riding of Yorkshire DN14, failed to pay £196.61 to 10 workers. Mrs Jane Wood trading as Addition Childcare, Wiltshire SN5, failed to pay £190.15 to 1 worker. Myriam Rogerson trading as Beauty Plus By Myriam, South Gloucestershire BS36, failed to pay £180 to 1 worker. Amber U.P.V.C. Fabrications Limited, North Warwickshire B46, failed to pay £176.23 to 1 worker. Yorkcloud Limited trading as Lakeside Hotel & Spa, South Lakeland LA12, failed to pay £171 to 5 workers. S.S.C Marketing Limited trading as Capital Events Marketing, Islington N1, failed to pay £170.80 to 1 worker. J W Rose (Bakers) Limited trading as Roses The Bakers, Sheffield S4, failed to pay £167.32 to 2 workers. Ms Susan Pamela Holton and Mr Neil Barry Tucker trading as Welcome Home Domiciliary, Swale ME12, failed to pay £167.10 to 1 worker. Mr Glenn Dobson and Mrs Debra Dobson trading as The Beach, Leeds LS26, failed to pay £157.89 to 4 workers. Trevor Sorbie Brighton Limited, Brighton and Hove BN1, failed to pay £156.16 to 3 workers. The Cutting Room (Scotland) Limited trading as The Cutting Room, Perth and Kinross PH2, failed to pay £148.49 to 2 workers. Premium Halal Meat Poultry Limited, Birmingham B5, failed to pay £140 to 1 worker. Washbrook Farm Limited, South Northamptonshire NN11, failed to pay £135.65 to 1 worker. Contract Joinery (Lancashire) Ltd, Wyre FY6, failed to pay £132.02 to 1 worker. Viva Corporate Catering Limited, Birmingham B1, failed to pay £127.91 to 3 workers. Mrs Zahra Lavasani trading as Piccolo Pizza, Hambleton YO7, failed to pay £123.40 to 1 worker. Nightingales Golden Care Limited, Portsmouth PO6, failed to pay £111.98 to 1 worker. Hugo 1940 Limited trading as Victor Hugo Delicatessen (Previous owner), City of Edinburgh EH9, failed to pay £109.46 to 1 worker. Beechvale Nursing Home Limited, Ards and North Down BT23, failed to pay £108.70 to 3 workers. Mrs Melanie Humphries trading as IMIJ Hair & Beauty Salon, Mansfield NG18, failed to pay £108 to 2 workers. UK Safety Management Ltd, Leeds LS15, failed to pay £104.40 to 1 worker. Millennium Hotels (West London) Management Limited, Hammersmith and Fulham SW10, failed to pay £102.94 to 1 worker. Mr Dilwar Singh trading as Golden Fry, County Durham DH9, failed to pay £101.35 to 1 worker. There are currently around 2,000 open cases which HMRC is investigating. Eligible employers will be named and shamed after their cases have been closed. The government has committed £25.3m for minimum wage enforcement in 2017/18, as well as a £1.7m awareness campaign earlier this year. David Metcalf, Director of Labour Market Enforcement, released his introductory report in July 2017, stating that he would be working with enforcement agencies to further crackdown on rogue employers. For more information about your pay, or if you think you might be being underpaid, get advice and guidance at www.gov.uk/checkyourpay. What does Maglev mean for the Future of Rail Travel?